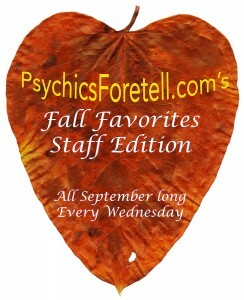 Starting today, we decided to share some of our favorite things throughout the month of September. We are dedicating our Wednesday blog series to spotlight our favorite books, fall activities, movies, TV shows, you name it. We would also like to invite readers to follow us on Facebook, Twitter, and Pinterest as well to stay connected in with this series. We would love for you to share some of your Fall Favorites too. Today Laura and Erin give us their first submissions of their September favorites. Laura: So summer is ending and fall is coming down on us with the swiftness of the winter winds. It’s right around this time I start getting the ‘bug’. Every year for the last 3 years I get it in my head to start cleaning out the house. And there’s a good reason for it! Once I’ve either donated, given or sold items in the home. I then go out on the town so to speak and check out the yearly yard sales and farmer markets. Is it just me? Or has everyone decided it’s a great time to sell some unused items? Because this is the year of the yard sale for sure! Weather it’s due to the economic issues at hand or people are just trying to get rid of a bunch of junk. Which ever the situation may be I’ve definitely cashed in so to speak. So many items at a really decent price! Always down with savings. This past holiday weekend it seemed like everyone was having a sale. And what great deals were out there! I was especially proud of my frugal habits when I walked away with a great block train set and money yet to invest in other great buys. And a hidden plus if you’re single is you get a chance to meet new people. Fall always brings me back to the country. Hay rides, pumpkin picking and spending time with family. Farmers Markets are a hidden jewel of the country and if you go to the right ones you’ll find the best deals. Everything is fresher when you buy from farmers markets. They’ve got the wide selection of goods that have come in with the seasons. For example, last year at the harvest festival, I was able to get a wide variety of fall vegetables that were not only good and healthy but not bad on my wallet. Farmers markets are also a great place to take the family if you happen to be looking to do something for a few hours. You never know what you will find once you’ve started walking down the various isles. Goods can range from fresh farm foods (like corn, squash, and pumpkins) to hand crafted specialty items. This year I’ll be stopping by the farmers markets and the yard sales in hopes of making this a September to remember. Erin: Fall is kinda hectic for everyone I think. Between going back to school, getting the kids ready to to back to school, or just crazy work schedules… it’s hard to find time to relax with a good book. I have always kind of been put off by audio books because I value cracking open a book but right now I have to say I’m obsessed with audiobooks! I work a lot and am constantly busy. 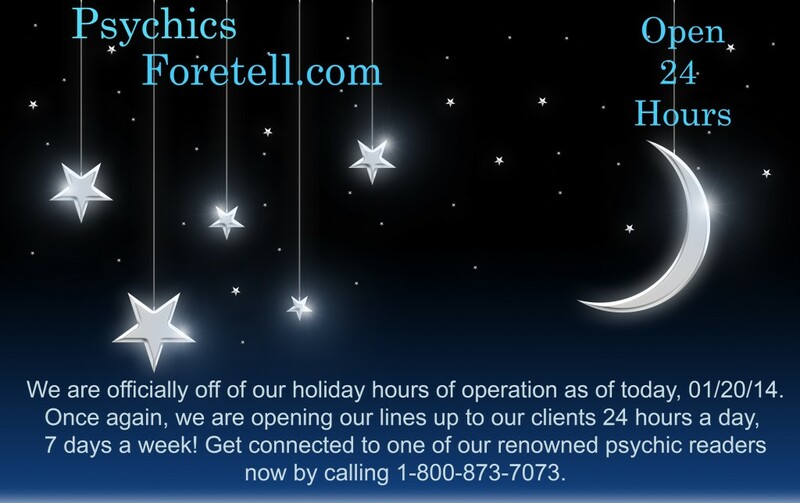 I do a lot of the creative behind the scenes stuff here at Foretell as well as working as a CSR so I like to have a little background noise when I work. I find it helps to keep my creative juices flowing and also it helps relieve stresses of the everyday hustle and bustle. Recently I downloaded an audiobook by Gabrielle Bernstein called “Spirit Junkie: A Radical Road to Self-Love and Miracles.” It was recommended to me by a few people and I gotta say I don’t know why I waited so long to check out this book. Spirit Junkie is a great read for anyone who doesn’t really know the steps to take towards finding their inner happiness or for anyone who might need some inspiration from the perspective of someone who has been rock bottom and found the tools to pull themselves up by using simple tips; which she gives in the book. This was super inspiring to me. Gabrielle talks about how addiction whether it be to food, a substance, bad relationship, bad thoughts, etc, are all fear-based habits that we can break and gives hope that no matter who you are and how far gone you think you are the power lies within you and nobody else. It was so powerful and she shares her trials and tribulations that were sometimes funny and sometimes sad but all in all extremely relatable on all levels. I have already recommended this to other friends as well actually because I think it’s definitely a great book for someone in their mid twenties to late thirties especially who would enjoy a good read from a strong female figure. Everyone’s A Winner- Feedback Frenzy! 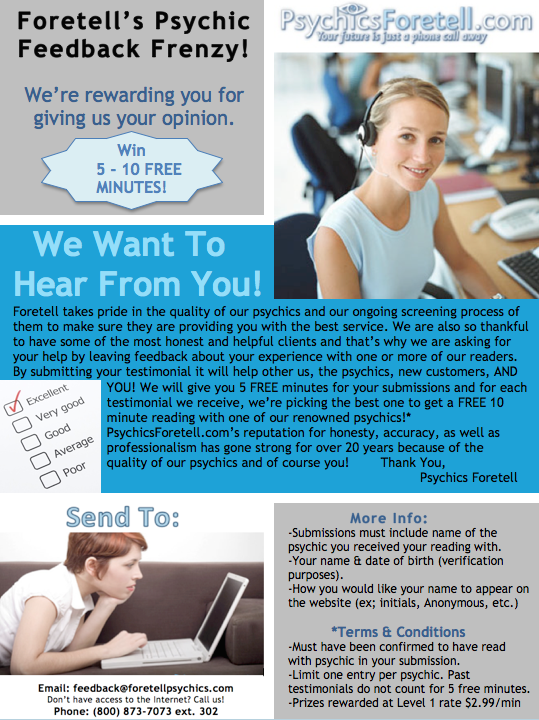 Check out our Feedback Frenzy Testimonial Contest. join us this Friday, July 4th to save 20% on your package purchase! *Offer cannot be combined with other offers. 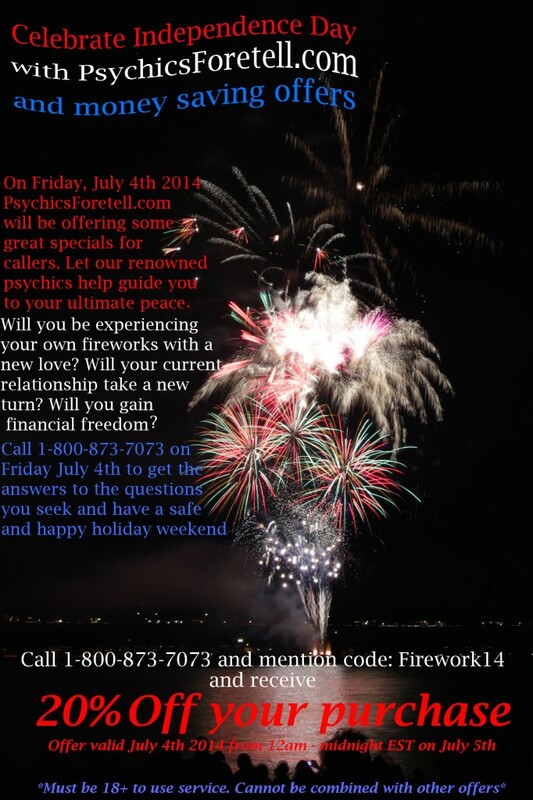 Mention code: Firework14 to CSR in order to redeem the offer. 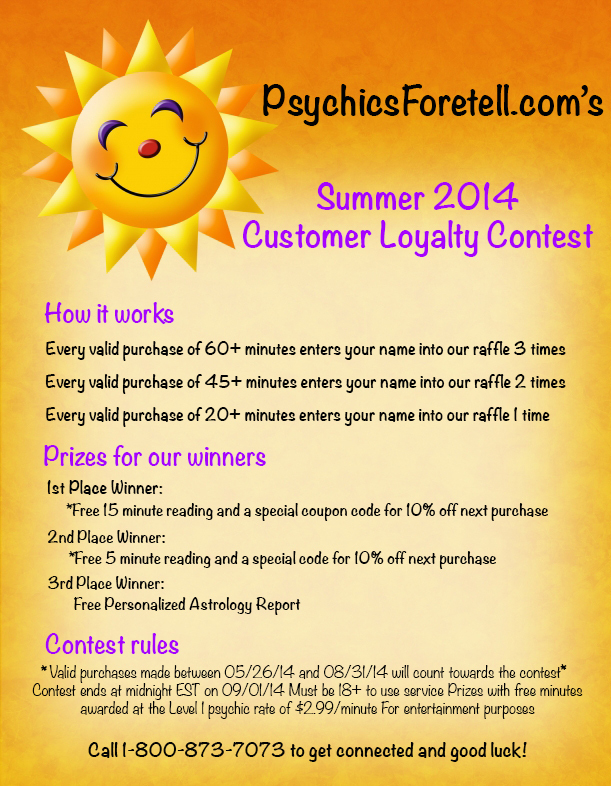 Check out our latest press release and learn more about our Summer 2014 Customer Loyalty Contest! *Offers cannot be combined. For entertainment purposes. Must be 18+ to use service. Every culture in our world, past and present have power guides (Totems). These Totems should not replace but enhance and assist that which is in place. On a conscious or unconscious level, animals are our brothers we are related to each other (all life is directly effected by each other) genetically and spiritually. Totems, or power guides, provide lessons or information most of us want about ourselves and our environments; each is as unique to the individual as a finger print. In all reality Totems (or animals), 99% which are wild would or have learned to avoid humans, which in reality are a danger to wild animals, however they represent the most evolved message. The information they provide is knowledge of ourselves and our path in life. Information that has and will be present and that does not depend on mans survival as a species. Animal Totems can be a bison, a whale, or snake as well as a rabbit , a cricket, parrot, insect or fish. This all depends on your culture and also your environment, whether it is a big city or a farm. Totems can also be dragons, a phoenix, a sphinx, turtles, spider or eagle, cranes or shark no matter what type; the key is respect. For example a feather can not be taken from a bird, it has to be given by the Totem. Finding a feather or coming across one on your path, in essence totems find you, not the other way around. I will concentrate on north America, first and respond to some topics of interest. Check back next week for Part 3 of the series; The Wolf. Last year some of our staff participated in the Acts of Kindness to help spread some love around our community and surrounding area. We also did a lot of the same on our social media sites and were very pleased with the support from our followers. 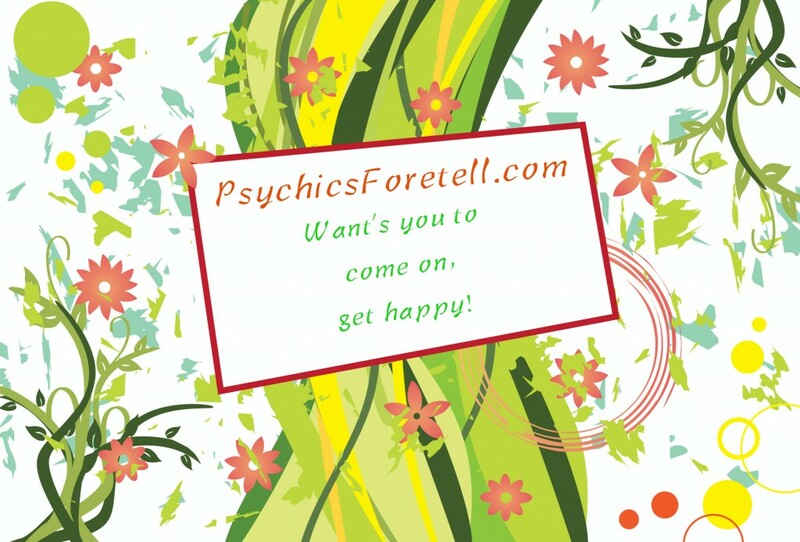 This year we are encouraging our readers and followers to pay it forward. Start this year off in a loving way by participating in the Pay-It-Forward initiative and spread some cheer with us. The best thing about this is that it can start off as something so small, one small act or gesture of kindness, and it can trigger something and become something so much bigger. It could become a domino effect. Let us explain. It’s super easy and we’ve even come up with some ideas to make it easier and give you a little inspiration; a jumping off point if you will. 1. Buy A Stranger A Cup Of Coffee. This morning I stopped at Wawa and instead of getting my change from the cashier I told them to use it to pay for the next person in lines coffee or newspaper. Like many people, Wawa, or your local convenience store is a daily stop before work to get a coffee, breakfast, newspaper, etc., it takes its toll on the piggy bank at the end of the week. I thought why not give the next person a nice surprise and who knows maybe they will take the dollar and change they were going to spend and pay-it-forward for the next person… if not then at least they got a nice surprise. With computers, smart phones, text messaging, Facebook, email, Skype, Snapchat, and all those other things that are out there now it’s easy to keep in touch with people in so many ways- which is awesome! Maybe I’m old fashioned but I love writing people letters or sending them cards randomly to let them know I’m thinking about them. I think it’s much more personal when you know someone takes time to sit and write out something and go mail it out. Our schedules get the best of us, we move away, our kids jeopardize our time, whatever the reason is we don’t get to see our friends or certain family members as often as we would like as we get older. Keep your address book up to date and keep some blank stationary around and when you get a couple minutes of free time, jot down a few words and say hi. They will really appreciate the random hello. Another fun spin on this is what we did last year which was Love Notes. Write nice inspirational quotes or nice words and leave them in random places like books in the library or supermarket carts. Do you have friends or relatives that are a bit overwhelmed and never get a break from their kids? Offer to watch the kids for a bit while they run to the grocery store or have a date night. I have so many friends with kids and sometimes they might just even want someone to come over and keep the kids distracted for 15 minutes while they shower or tidy up the house. Whatever the situation is they might need a hand so whatever help you can give would be much appreciated. 4. Cover A Co-workers Shift. If you work somewhere that’s pretty flexible and allows you to swap shifts with someone – take advantage of it! Ben is scheduled to work Friday but he won tickets to a concert and nobody wants to pick up his shift? Pick it up for him. He really wants to go to this concert and it’s not everyday you win tickets to something. How would you feel if it were you? He will appreciate it and you would really be doing him a solid. These are just some examples of ways you can pay it forward. There’s so many ways! The list is endless really. Knowing you made someone smile is the best feeling in the world and if everyone took just one minute out of their day to do something small for someone else it can spread faster than the flu. 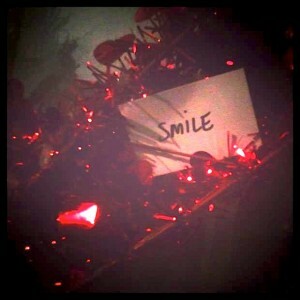 The world would light up with the smiles of all the happy people. With all the bad in the world today, let’s do our best to help spread more good! We Are Now Back to 24 Hours! Please click on the picture above to check out our latest press release. 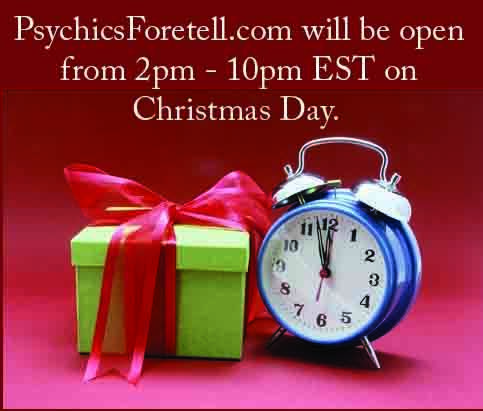 Press Release- Christmas Hours & More! Please take a few moments to check out our latest press release to find out more announcements from our staff. We hope everyone has a safe and happy holiday. Click the picture above to be taken directly to our press release. Don’t miss out this Thursday on our Thanksgiving Day Special! Regular customers receive 20% off purchases of 15 minutes or higher ALL DAY! It’s our special thanks to you this holiday. Click on the picture above to be linked to our latest press release for more information about this special!